Have you ever had trouble communicating with your kids? Does your son or daughter seem to clam up sometimes? 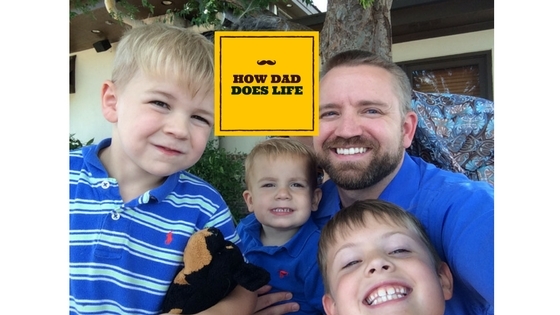 I want to share with you three quick ways to get your kids talking. Stop Talking! – For some people that, alone, is the issue. Jabberjaw comes out in you and you dominate the conversation. 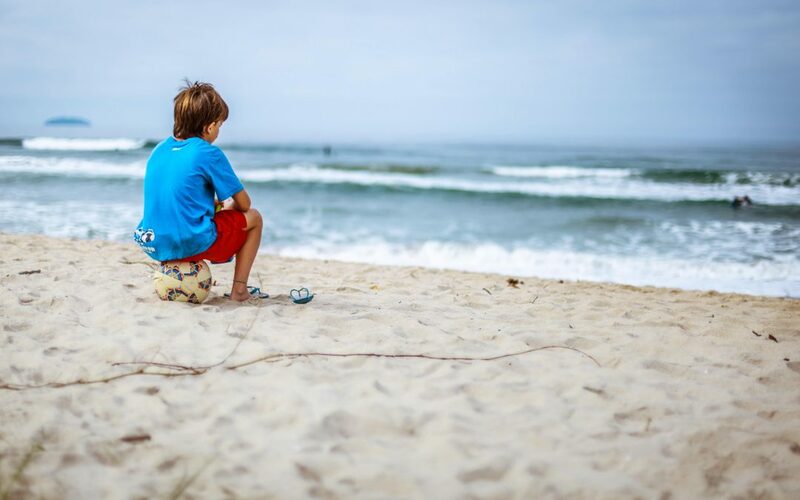 Have you ever considered that your child doesn’t talk much BECAUSE YOU DO?Take a breather. Seriously. Pause. Take a breath. And stay silent. Silence is really, really hard for some folks. But sometimes it is necessary. You might have to wait. Wait. WAIT. And it will get painfully uncomfortable. You are going to have the desire to try and elicit your kiddo to say something. But just wait. Sometimes that’s all the kid needs….an opportunity to speak. Relax– First off, you’ve gotta relax. Next, you need to be the one to help your child relax. You have to realize any number of things could be effecting your kid. 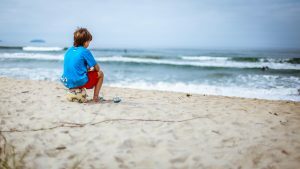 The pressure of being put on the spot, stress and anxiety of life issues, whether at home, or at school, could be something that is clamming your kid up. Brainstorm– Maybe your kid just has a mental block. How often has that happened to you in life? For me….a BUNCH. Maybe you can through out two or three topics for your kid to talk about. Maybe you need a conversation starter. Do a google search for kid conversation starters. Here is one with 100 questions to ask you kids. Amazon sells one for families of faith called Gabbit. I’ve used it and my kids loved it. You’ll find a bunch to get you started. Remember don’t answer for your child. Let them think and respond when given enough time. I hope this helps. Share your ideas on how to get kids talking in the comment section below. Howdaddoeslife.com is a participant in the Amazon Services LLC Associates Program, an affiliate advertising program designed to provide a means for sites to earn advertising fees by advertising and linking to amazon.com, amazon.co.uk, amazon.ca and any other website that may be affiliated with Amazon Service LLC Associates Program. I hear people, all the time, state that they can’t shop when their kids are with them. I’ve got the opposite problem, so I realized recently. I learned that I can’t shop WITHOUT my kids. So I jet over to the grocery store to pick up a few items one afternoon. I only need to get a few things on this trip. I pick up some bananas. I grab some apples. I nab a container of pimento cheese. Toss a loaf of bread in my basket. 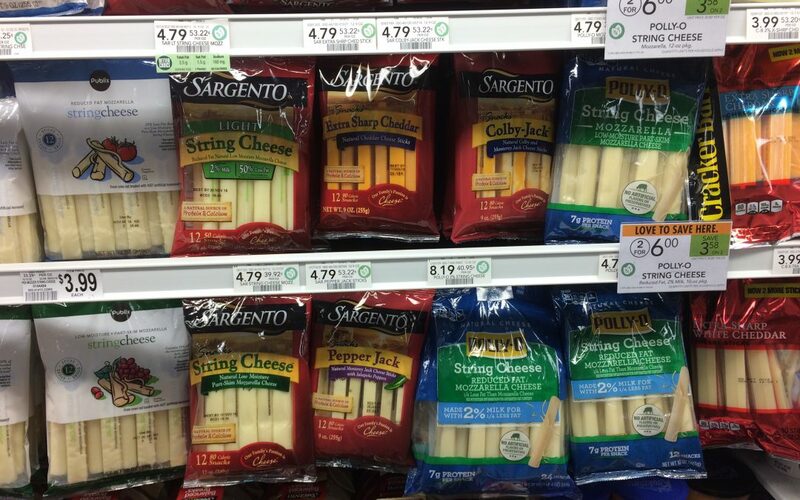 And then I start looking for a package of string cheese. You know what I’m talking about, right? 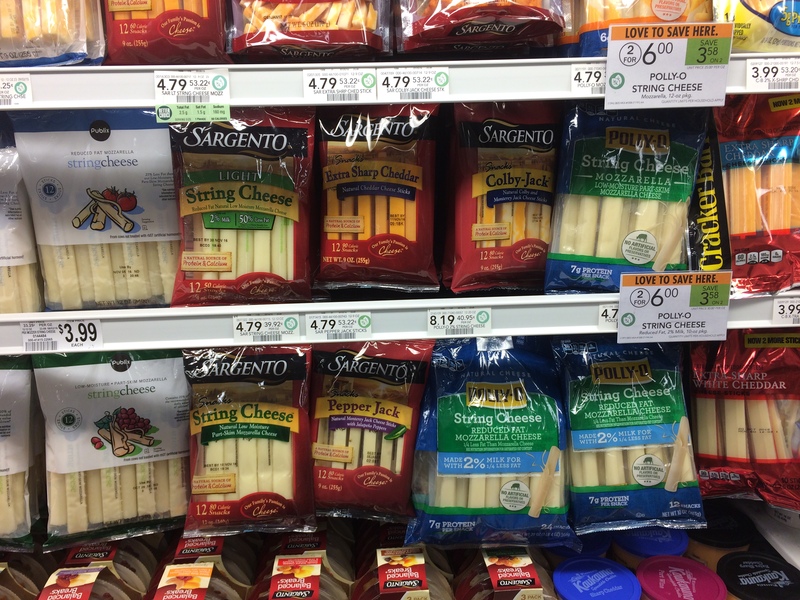 The individual tubes of cheese where you pull off little strips of “string cheese.” Of course! Well, I am standing right in front of the section for, like, two minutes (a long time!). I can’t find the normal brand that we get. Then it occurs to me. I couldn’t find what I was looking for because I didn’t see the package with the blasted cartoon on it! CARTOON! My kids would have realized that immediately. Not me. Of course not. My apologies to those of you that judge me because I buy something because it has a cartoon on it. Or a prize in it. I didn’t grow up, I guess. Those are still THE BEST kind of foods to buy. I need my kids. More than I realize. I love being with them. They are a delight to me. Sure shopping with three kiddos can be wild. But it can be awesome too. There have been a few times where shopping with them has been less than fun. But, honestly, most of the time it is awesome! When I take my boys shopping, they know it isn’t just shopping. Shopping cart races, getting the free samples together, going to the toy section for a few minutes, looking at the lobster tank, making the automatic lights come on in the freezer section. What is not to love about shopping with kids?!? That’s the best way to live life. On an adventure. I hope I never change from that philosophy of thinking. I hope my boys carry that with them as they grow and have families as well. 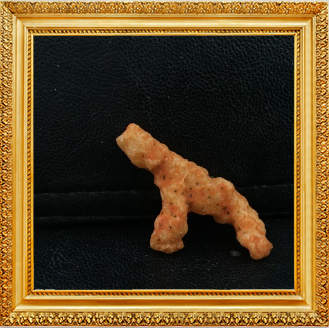 Cheetos launched an online “museum” of actual Cheetos that look like “art.” If you’ve ever taken a look at a Cheeto, you’ve probably imagined it being a baseball bat or a tiny sword. For the extra creative people in the world, they see much more. 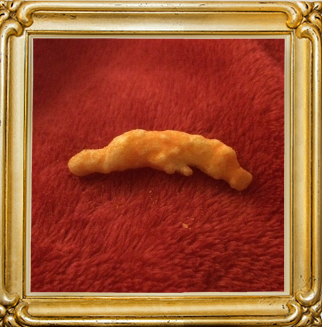 The Cheetos Museum is a user-submitted museum where viewers can pick their favorite submission. Winners actually get prizes…big money prizes. As in $10,000 prizes. This is a great way to get your kids thinking in creative ways. It should turn out to be a fun and funny time together imagining all the possibilities. Or maybe you are just bored out of your mind and have nothing better to do. Either way head on over to the Cheetos Museum. 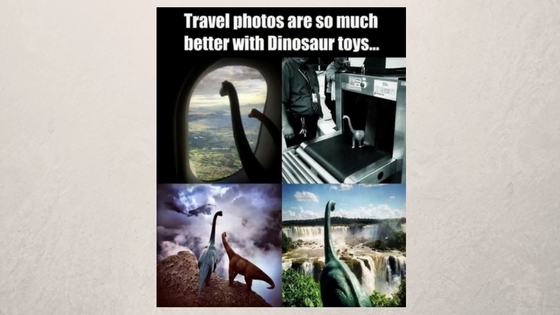 I ran across this image of travel dinosaurs online recently. Whoever took this picture encouraged their kids to make an adventure out of everything they do. That, my friend, is how to get your kids to look forward to each and every day that life holds for us. I encourage you to take a different perspective with living. View people in a different light. Try something new. Maybe even take a dinosaur with you on your way to work. For my sons. For me. I’ve started this blog to focus on what is important in this world. Nothing is more important than my kids. I want the best for them. They deserve the best. So here I am. Looking forward I plan on chronicling some of the best ideas on the web for families, some of the most hilarious pictures, videos, and stories that will make you pee in your pants, and I also intend to share some of my story, which is incredible (because it includes my family) and incredibly heart-breaking at the same time. That’s life, isn’t it? I bet you can relate because that is real life. No matter what, I hope to be an encouragement to you and your family as you try to be the best dad, mom, uncle, aunt, grandparent that you might possibly be. I want to make a better world for my family and I am sure you want to do so too. I look forward to engaging with you as you pursue your adventure with your family as well.